Tuesday 27th February 2018 – 2.15pm – Jamie Arrowsmith. Two men, one of whom was trapped, have been treated by ambulance staff and taken to hospital following a multi-vehicle collision on the M6 this morning. West Midlands Ambulance Service was called to the southbound carriageway, near to junction 7 at 11.20am and sent three ambulances, a paramedic officer and the Midlands Air Ambulance Crew from Cosford in a rapid response car to the scene. A West Midlands Ambulance Service spokesman said: “On arrival, crews discovered three cars, a van and a HGV that had been in collision. “Unfortunately, one of the patients, a man in his 40s, was trapped in the van following the incident. “Ambulance staff monitored and assessed him whilst the fire service worked to free him from the vehicle. “He was treated for abdominal and pelvic injuries, immobilised with the use of a scoop stretcher and given pain relief before being taken to Queen Elizabeth Hospital on blue lights. “A man in his 50s, who was a passenger in the van, had managed to get himself out. He was treated for minor abdominal and neck injuries and taken to Sandwell Hospital. “A woman, believed to be in her 30s, who had been travelling in one of the cars was assessed and discharged at the scene with minor injuries. Tuesday 27th February 2018 – 9.40am – Jamie Arrowsmith. A woman was trapped for about an hour in her car after crashing into a tree last night. West Midlands Ambulance Service was called to Banbury Road in Stratford-Upon-Avon just after 11.35pm last night and sent one ambulance, a paramedic officer and the Warwickshire and Northampton Air Ambulance Critical Care Car to the scene. A West Midlands Ambulance Service spokesman said: “Crews arrived to find a car that had suffered substantial damage in the collision. “The driver of the car, a woman believed to be in her 20s, was still trapped inside. “Ambulance staff worked closely with the fire service to continually reassure and treat the woman whilst she was freed from the vehicle. Monday 26th February 2018 – 1.30pm – Murray MacGregor. A woman has been confirmed dead at the scene of a crash involving a lorry and a car. 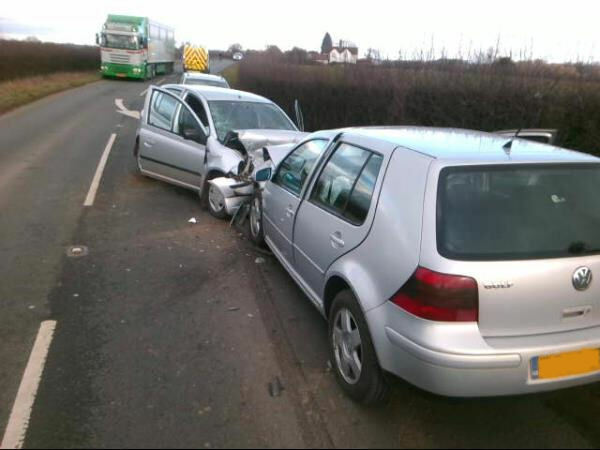 The incident happened at about 9.15am this morning, Monday at the junction of the A426 and Calias Lane at Birdingbury in south Warwickshire. Two ambulances, a paramedic officer and the Warwickshire and Northamptonshire Air Ambulance were sent to the scene. A West Midlands Ambulance Service spokesman said: “On arrival, ambulance staff found a woman in a car that had suffered significant damage. 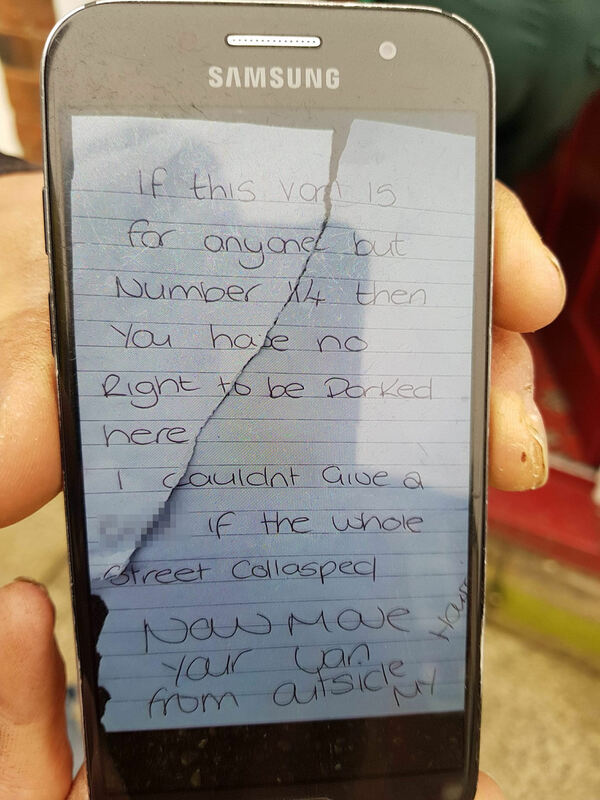 “The lorry had front offside damage. The driver, a 26-year-old man, was assessed by ambulance staff; he was understandably shaken but otherwise uninjured and was discharged at the scene. Monday 26th February 2018 – 8.45am – Murray MacGregor. Two ambulances, a paramedic officer and a BASICS Emergency Doctor from the North Staffs BASICS scheme were sent to the scene after a 999 call at 11.20pm on Sunday night. A West Midlands Ambulance Service spokesman said: “On arrival, ambulance staff found a man who had suffered very significant injuries. The exact circumstances of what had happened were not clear. Thursday 23rd February 2018 – 10.05am – Jamie Arrowsmith. A man has died following an incident on the M6 Toll this morning. West Midlands Ambulance Service received a 999 call at 8.38am to reports of a man who had fallen from a bridge between junctions T7 and T8, near Cannock. One ambulance, a rapid response paramedic and a paramedic officer attended the scene. A West Midlands Ambulance Service spokesman said: “Crews arrived on scene to find a man with serious injuries after falling from a bridge. Thursday 22nd February 2018 – 4.30pm – Jamie Arrowsmith. A young child has died and a second has been seriously injured following a collision with a car this afternoon. West Midlands Ambulance Service received a 999 call at 2.02pm to Longfellow Road in Coventry and sent four ambulances, two paramedic officers and the Critical Care Car from the Air Ambulance Service, with a medic on board, to the scene. “It quickly became apparent they had both suffered life-threatening injuries in the incident and following emergency trauma care at the scene by our staff, they were both quickly transported to hospital on blue lights. 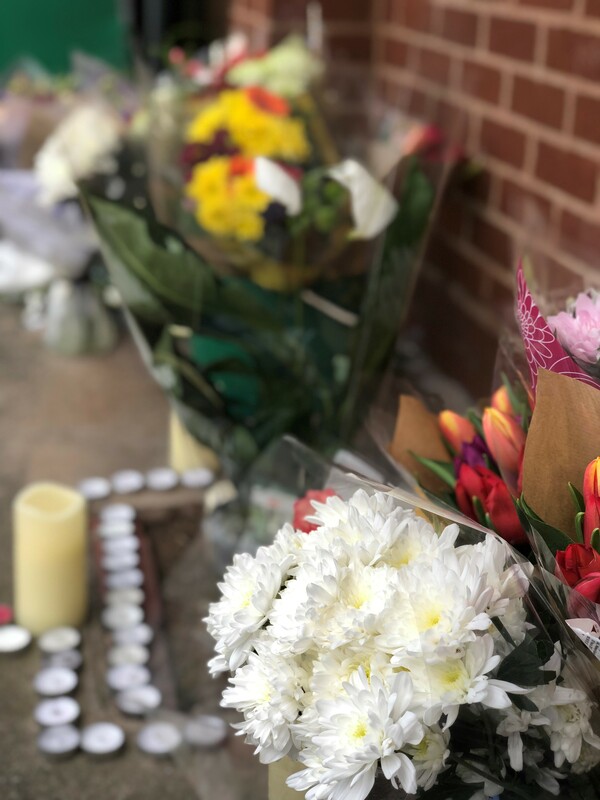 “Unfortunately, shortly after arrival at University Hospital Coventry and Warwickshire it became apparent nothing could be done to save one of the boys and he was confirmed deceased. Tuesday 20th February 2018 – 1.50pm – Murray MacGregor. A West Midlands Ambulance Service spokesman said: “We welcome the outcome of this unpleasant case. We are pleased to see the press reports that the Magistrates felt that this was ‘an absolutely despicable incident’. We hope that this case will serve as a warning to others that abusing our staff is not acceptable. “Our staff will only block roads or park in front of drives if absolutely necessary in the interests of patient care. In this case, they were parked at the side of the road and were not blocking a driveway. Kirsty Sharman, aged 26, from Tunstall, admitted a Section 5 Public Order offence when she appeared at North Staffordshire Justice Centre today (Tuesday 20th February). She received a £120 fine and was ordered to pay a victim surcharge of £30 and costs of £135. Tuesday 20th February 2018 – 11.00am – Claire Brown. It was a team effort by ambulance, fire and police at the scene of a serious RTC in Bromsgrove last night after a man ended up trapped beneath a car. 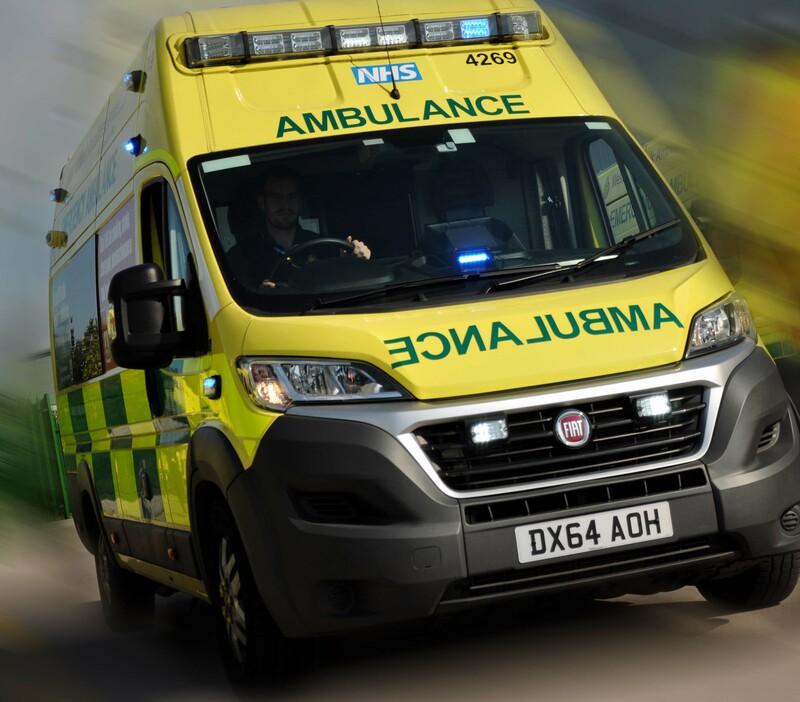 West Midlands Ambulance Service was called to reports of a two car RTC outside Bluebird Park on Bromsgrove Road, Romsley shortly before 7.00pm last night (Monday). A paramedic officer, an ambulance and a MERIT trauma doctor attended the scene. A West Midlands Ambulance Service spokeswoman said: “When ambulance crews arrived they found two cars which had collided; one had overturned. A man, thought to be the driver, was trapped beneath the overturned car and was in a serious condition. Ambulance staff worked to treat the man, who had suffered a number of serious injuries, whilst the fire service worked around them to carefully release him from the wreckage. “Once freed, which took around 30 minutes, the man was given advanced pain relief and other trauma treatment before being taken by land ambulance on blue lights to Queen Elizabeth Hospital Birmingham. Tuesday 20th February 2018 – 7.45am – Murray MacGregor. A pedestrian has been confirmed dead after a collision with a car. The incident happened at just after 6.00pm on Monday evening on the A449, Stafford Road in Wolverhampton between Oxley Moor Road and Mercury Drive. Two ambulances, a paramedic officer and the aircrew of the Midlands Air Ambulance from Cosford, who responded in a car, were sent to the scene. A West Midlands Ambulance Service spokesman, said: “On arrival, ambulance crews found bystanders doing CPR on a man. He had suffered very serious injuries. “The man was assessed by ambulance staff but sadly, it quickly became apparent that there was nothing that could be done to save the man and he was confirmed dead at the scene. Monday 19th February 2018 – 11.00am – Claire Brown. The ambulance crew responded to a 999 call to reports of a patient with breathing difficulties at an address in the Tunstall area of Stoke-on-Trent shortly after 11.00am on Sunday (18th February). A West Midlands Ambulance Service spokeswoman said: “As a Trust we welcome Staffordshire Police’s swift response to this incident and the arrest of the woman. We will continue to work closely with the police to ensure the perpetrator feels the full weight of the law. “We have a zero-tolerance policy towards people who abuse our staff whilst trying to help patients in their hour of need. It is completely unacceptable and it must stop. “As the vast majority of the public will appreciate, in our line of work the patient must always come first and therefore the nature of the job means we do sometimes have to park over a driveway or block a vehicle in. If your loved one needed an ambulance, I’m sure you’d want an ambulance to park as close to them as possible to prevent a delay in their care. Wednesday 14th February 2018 – 9.15am – Jamie Arrowsmith. A person has died and two others required hospital treatment following a multi-vehicle collision on the M6 in the early hours of this morning. 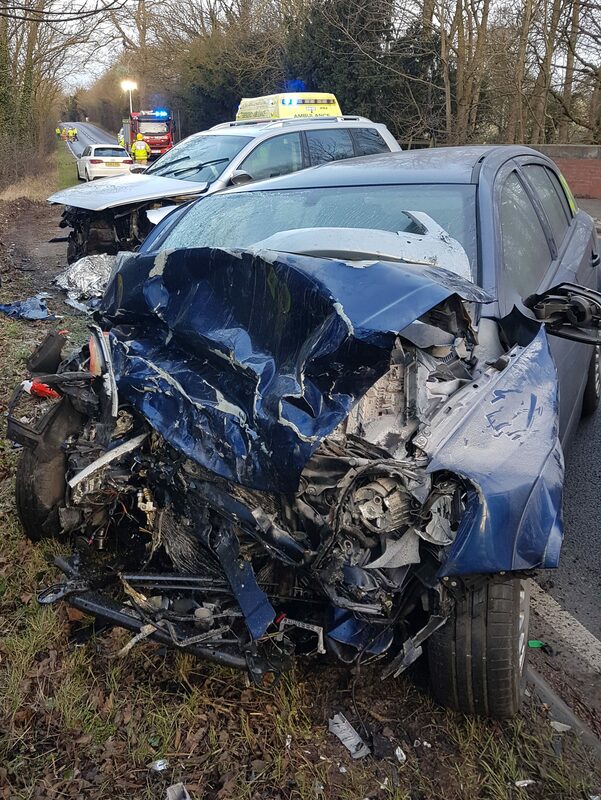 The RTC was one of two on the northbound carriageway of the motorway within an hour of each hour but thankfully the second incident had less serious consequences. The first collision took place between junctions two and three with West Midlands Ambulance Service receiving a call at 1.47am. Two ambulances, a paramedic officer and the Warwickshire and Northamptonshire Air Ambulance Critical Care Car attended the scene. Monday 12th February 2018 – 11.15am – Claire Brown. A family of eight have escaped a house fire in the early hours of this morning in Staffordshire. West Midlands Ambulance Service was called by the fire service to a property off Station Road in Rolleston-on-Dove, Burton-on-Trent shortly after 2.00am (Monday). Two ambulances and a paramedic officer attended. A West Midlands Ambulance Service spokeswoman said: “When crews arrived the house fire was being tackled by the fire service. All eight occupants had already managed to escape from the property. Crews were told that the husband and wife, both in their 30s, had woken to find the house was on fire. The man smashed a first-floor window to escape onto a conservatory roof before helping his six children and wife escape the blaze. “The two adults and six children, aged between 5 months old and nine years, were all given a thorough assessment on scene and were found to have suffered smoke inhalation. The man was given oxygen therapy before all eight were taken to Queens Hospital in Burton for further checks. Thursday 8th February 2018 – 1.28pm – Murray MacGregor. A man has been airlifted to a major trauma centre after a two-car crash left both vehicles with significant damage. 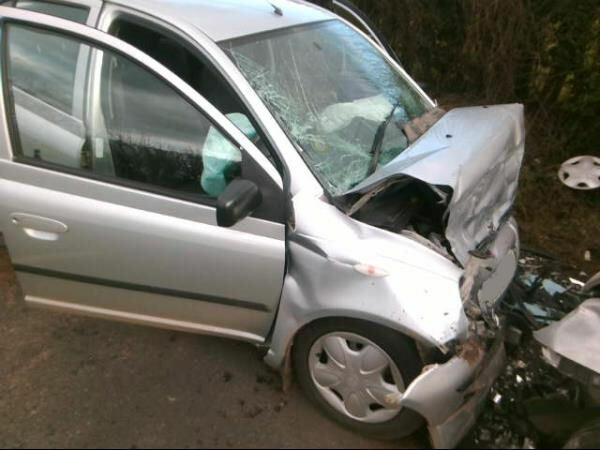 The crash happened near Thorpe Bridge on Southam Rd, Southam at just before 8.00am this morning. Wednesday 7th February 2018 – 9.45am – Claire Brown. A man was resuscitated by ambulance staff after being pulled from a river in Worcestershire last night. West Midlands Ambulance Service was called to reports of a drowning in the River Stour near to Blossom’s Tea Room, York Street, Stourport-on-Severn shortly after 6.00pm last night (Tuesday). The Trust’s control room quickly responded a paramedic officer, HART, an ambulance and two paramedics in a response car from the Air Ambulance base in Strensham. Monday 5th February 2018 – 5.30pm – Murray MacGregor. 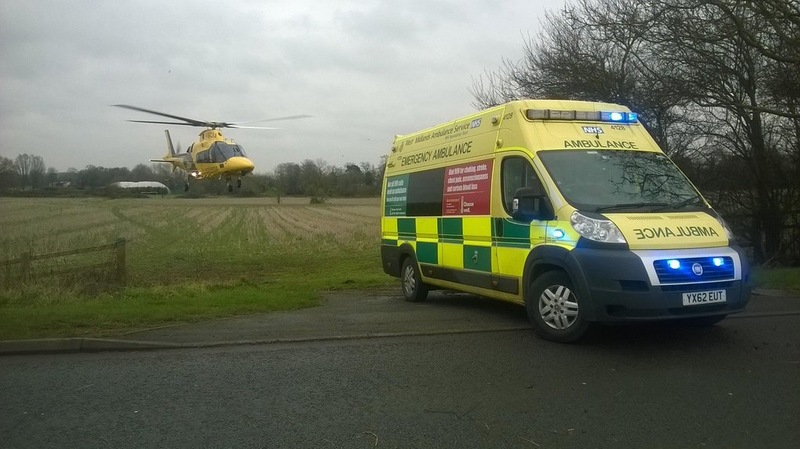 A man has been airlifted to a major trauma centre after a head on crash between two cars. The incident happened on the A465 near Burley Gate in Herefordshire at around 2.05pm on Monday afternoon. Two ambulances, a paramedic officer, a BASICS Emergency Doctor from the MARS (Mercia Accident Rescue Service) and the Midlands Air Ambulances from Strensham and Cosford were sent to the scene. 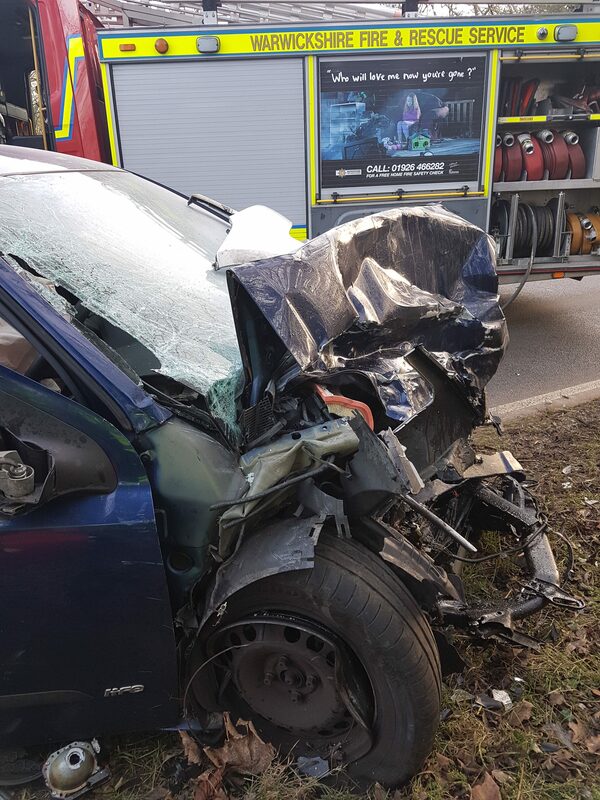 A West Midlands Ambulance Service spokesman said: “On arrival, ambulance staff found two cars that had both suffered significant front end damage. “A 37-year-old man had to be freed from one car; he had significant pelvic pain as well as pain in his chest area. “He was immobilised, had a pelvic binder applied and was given pain relief before being airlifted to the Queen Elizabeth Hospital in Birmingham where doctors were awaiting his arrival. 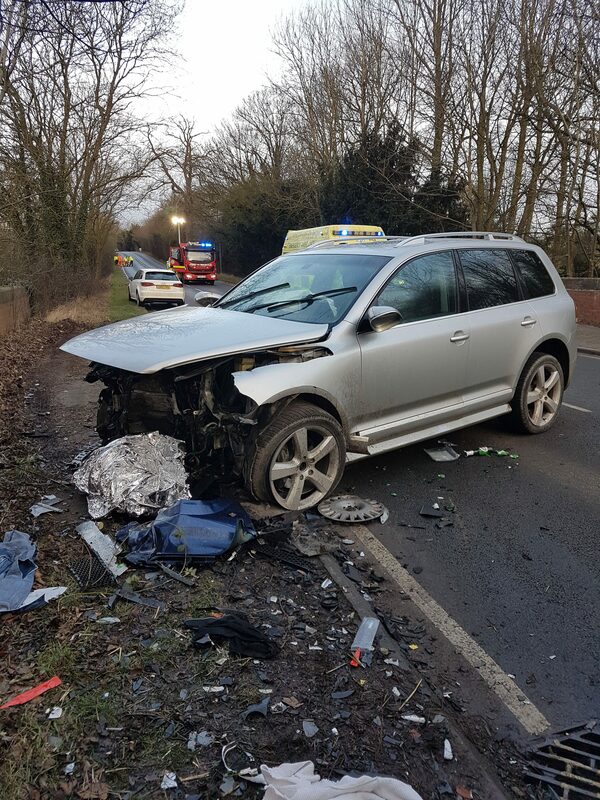 “The 39-year-old man driving the other car appeared uninjured but due to circumstances of the crash, he was taken to Hereford County Hospital for further assessment.